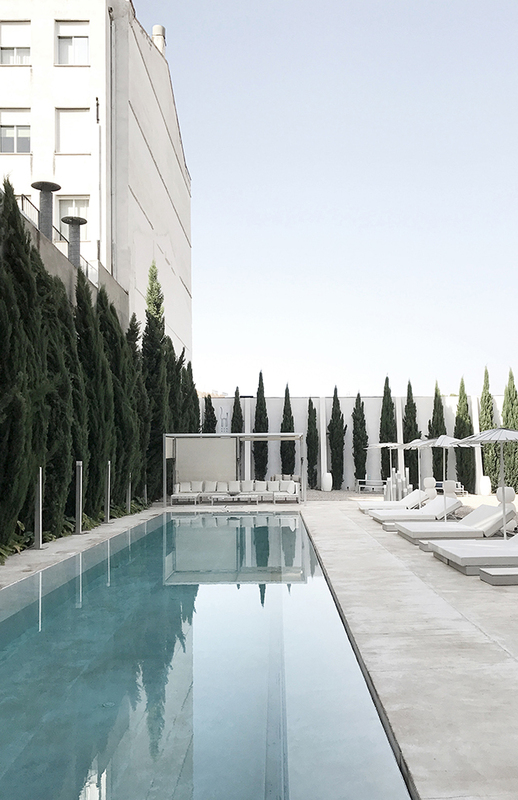 Last week I kicked off my Spanish Design Series, highlighting some of the incredible places we visited during the Sunny Design Days Tour in Spain. 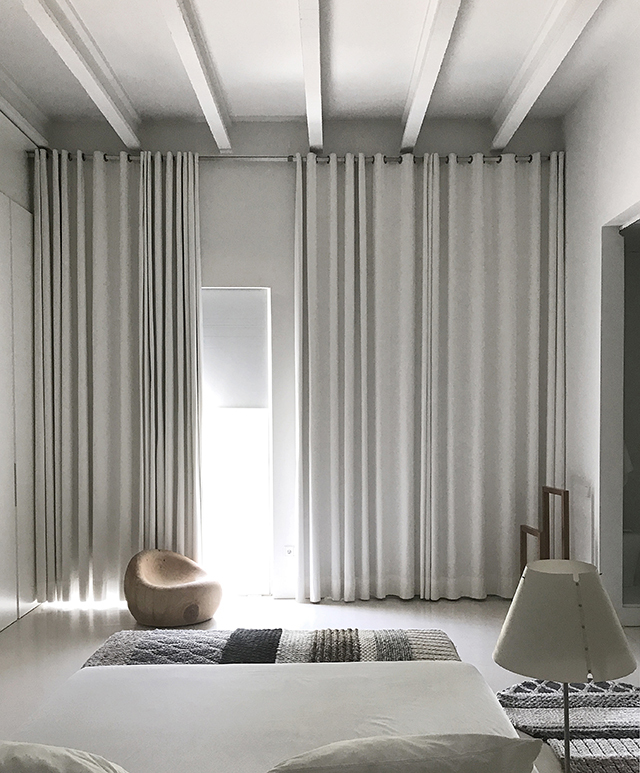 Today I'm going to share our visit to Gandia Blasco, a design company located in the beautiful town of Ontinyent in the province of Valencia. 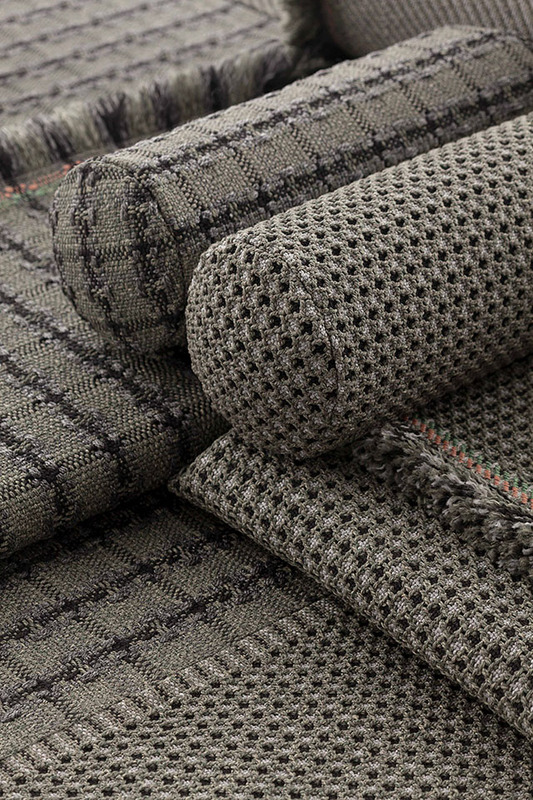 Founded as a family business in 1941, Gandia Blasco first specialised in the production of blankets. In the late 80s, company president José A. Gandía-Blasco reinvented the business, developing new lines of home textiles and rugs under the name GAN. A change of course in 2000 saw the introduction of outdoor furniture and along with it, further success. 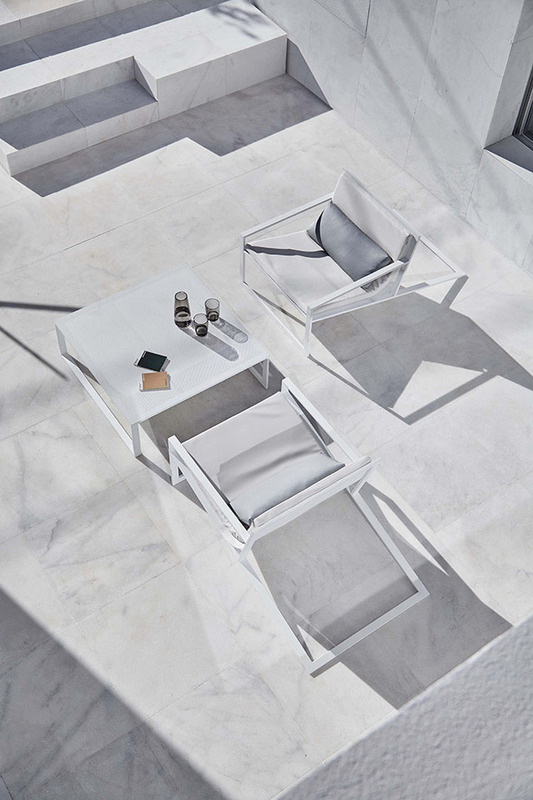 Now recognised as a global leader in outdoor furniture, Gandia Blasco have opened shops and showrooms in a number of countries worldwide. Staying true to their beginnings, the indoor textile brand GAN remains an important part of the catalogue. Arriving at the stunning location we were treated to a delicious Mediterranean breakfast in La Casa Gandia Blasco courtyard, followed by a dip in the pool. Needless to say it was a great start to a day that would reach a soaring temperature of over 40°C! 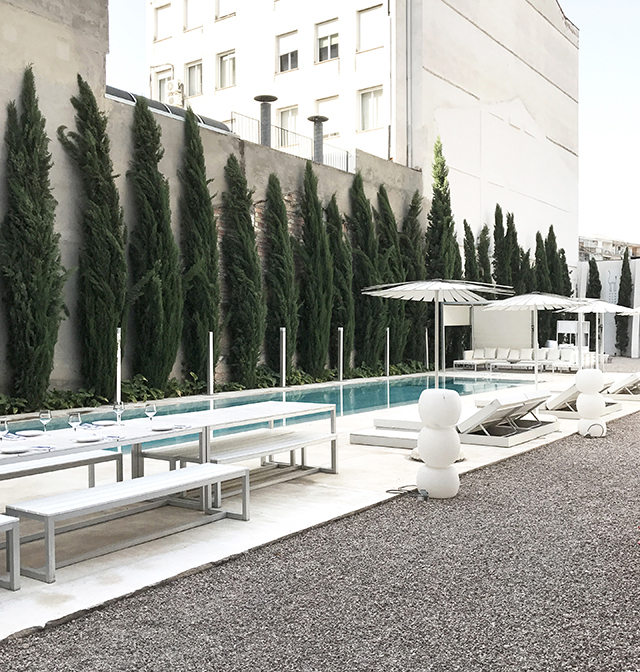 Next to the pool is a huge courtyard area which showcases the Gandia Blasco outdoor furniture collections and here we got to experience some of the new products for 2017. 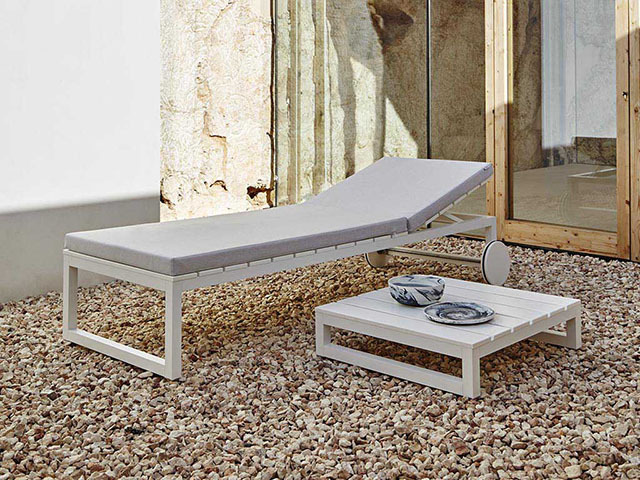 Shown below, the understated and comfortable Saler Soft and Saler Soft Teak collections are designed by José A. Gandía-Blasco. 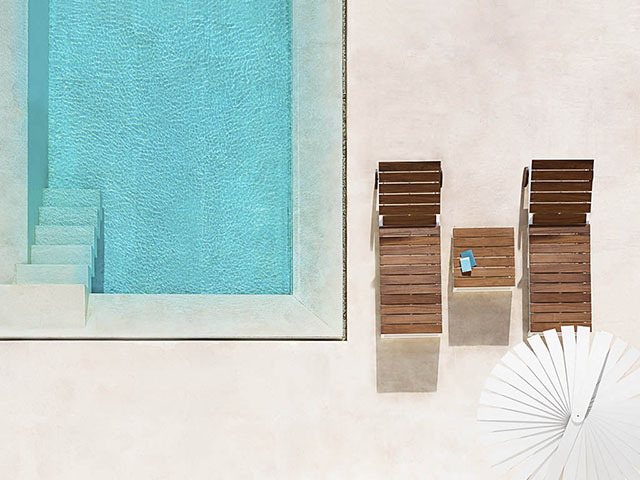 Blau features a subtle and elegant collection of outdoor furniture with a marked architectural character and timeless quality. Designed by architectural studio Fran Silvestre, the collection includes chairs, sofas, stools, loungers, foot rests, tables and a tree-like lamp, all of which share the same light and fluid forms. 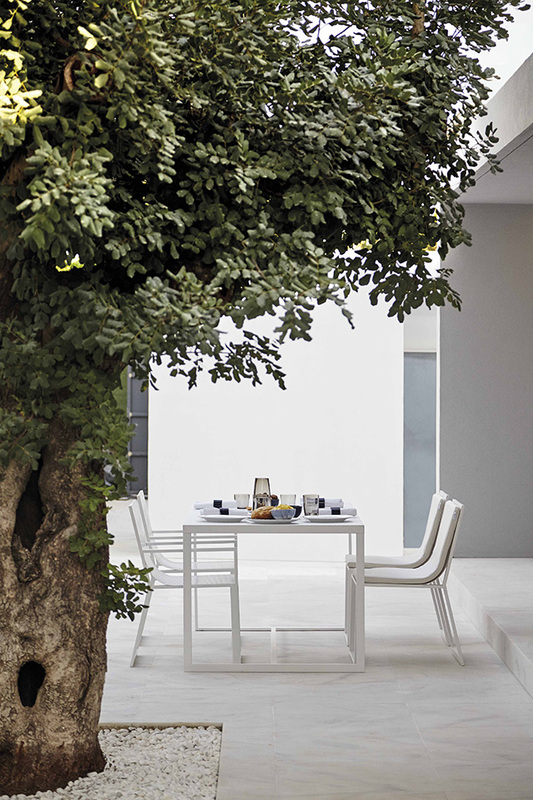 See all of the outdoor collections and accessories here. José A. very kindly gave us a tour of his exquisite home, La Casa Gandia Blasco. 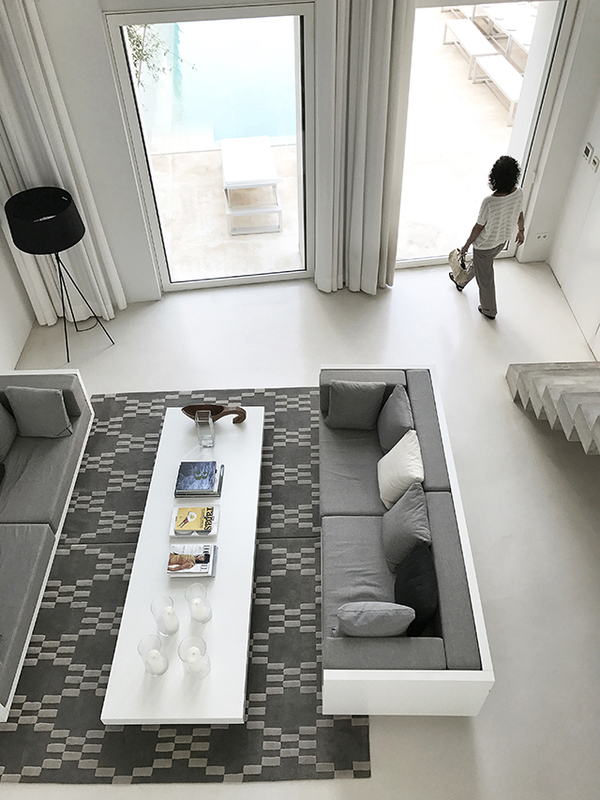 A true extension of the merk and a lesson in pared back styling, the white washed interior features incredible concrete staircases and huge windows overlooking the gorgeous courtyard. Another highlight of this visit was checking out the new Garden Layers collection designed by famed architect and designer Patricia Urquiola. The first outdoor series under the framework of GAN, the incredible collection is made up of rugs, mats, roll pillows and cushions. These can be arranged together in different ways, providing infinite possibilities for outdoor living. The inspiration for the collection came from on a trip to India where Patricia Urquiola was captivated by the delicacy and harmony of the Mughal architecture she discovered there. Gardens and terraces found their way into her restless imagination, igniting the first sparks of creativity for the outdoor collection. An expert at interpreting other worlds and transporting us to them through her exquisite language, Urquiola once again showcases her masterly design skills. The influence of the Orient is evident in Garden Layers by the way it invites reclined relaxation on rugs and mats, with the addition of roll pillows and cushions. It can also be perceived in the fringes, the finishes and the geometry patterned textiles. Having the pleasure of testing out the collection, I can honestly say the comfort levels were exceptional. The roll pillows are so supportive, I could have stayed there for hours. 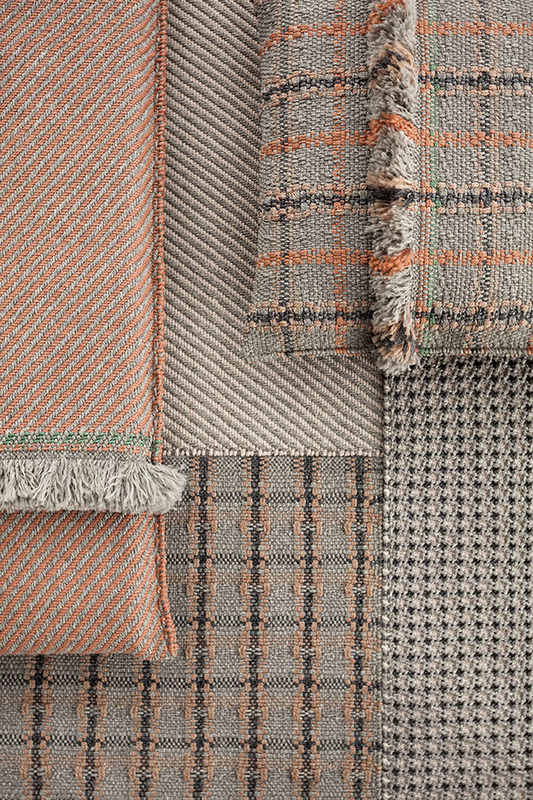 The warm colourways, patterning and textural elements of the products make them even more appealing. The collection is available in three colour groups; terracotta, grey and blue. Made with high-tech materials and fillings including weather resistant yarns and foams that dry rapidly, they are perfect for outdoors. To see the full collection take a look here. 0 Response to "Spanish Design Tour | Gandia Blasco"